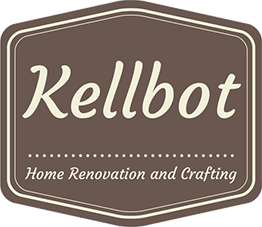 It Came From the Internet: Recipes - Kellbot! | Kellbot! Things have been really busy around here, but sadly not with stuff that makes for interesting blog posts. In the meantime, here are some of the recipes I’ve been compulsively hoarding, holding out for the day when I actually have time to do some cooking / baking. 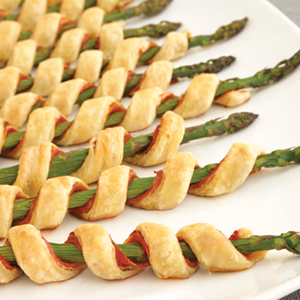 For the fantasy world in which I hold fancy dinner parties, prosciutto asparagus sprials. 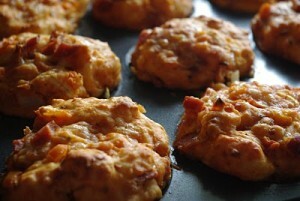 Pizza muffins. Or, things I can throw in the freezer and then eat later when RevolvingDork isn’t around to feed me. 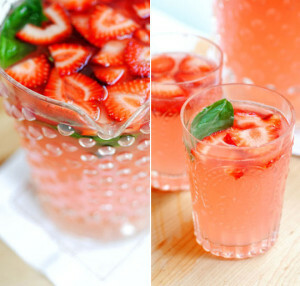 Strawberry Basil Margaritas. In ~6 weeks my basil plants will be fully grown, and I’ll be able to drink alcohol again. Coincidence? 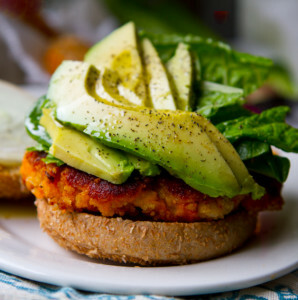 Sweet Potato Veggie Burger. I’m not that into veggie burgers, but I am into sweet potatoes and avocado. What’s on your recipe to-do list?